Talk about #blackgirlmagic, Tonya Lewis is changing the game on eating local and organic in good ole Music City and we are loving it. 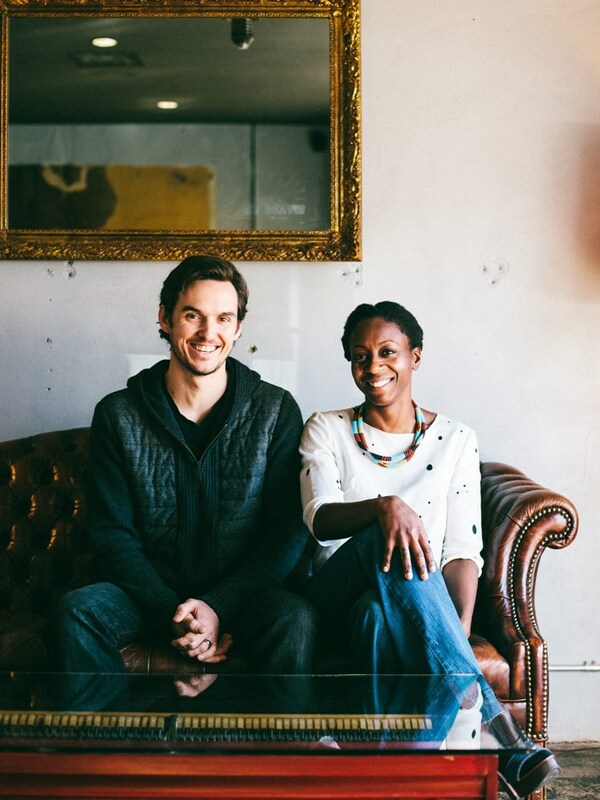 Husband + Wife team, Tonya Lewis and Christopher Cowley started The Post 3 years ago because they saw a need for healthier options in Nashville and knew they had a great way to solve that problem. Story is dope, food is a must try, so read on! 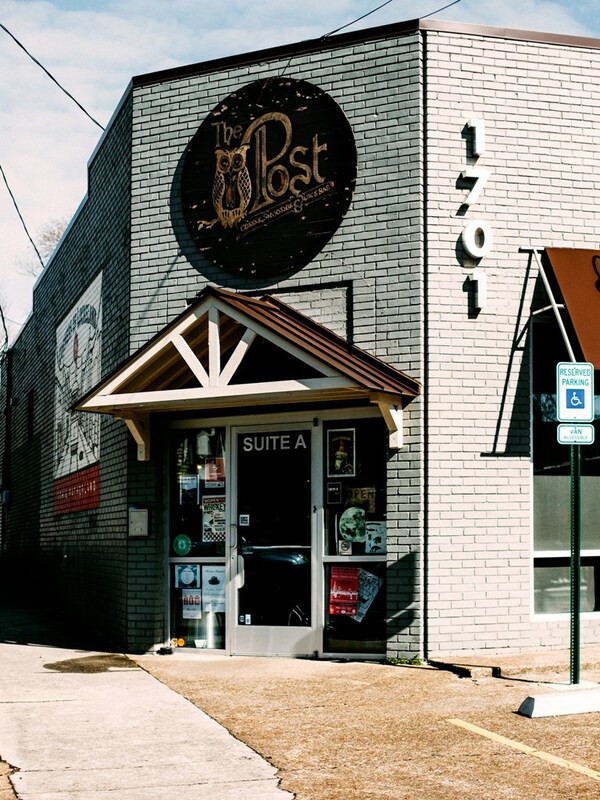 The Post is a community-focused Cafe located in the Historic Lockeland Springs neighborhood of East Nashville. The business was formed in the spring of 2013, but the brick and mortar location was not opened until the summer of 2014. My husband Chris and I decided to open the Post when we realized how challenging it was to find healthy food options when we wanted to go out to eat. When we started talking to other people in the East Nashville community, we quickly realized we were not alone. There was a pretty significant demand for eateries that offer nutritionally rich and wholesome foods. Chris and I love that our business, which is now Real Food Certified, can provide people with gluten free, vegan, organic, and whole food options. To really push our business to be a place where the community can come together, we chose the name The Post. In lieu of simply paying homage to the old meeting post (where people gathered to get the town news and gossip – our modern day community list serv’s) of the 1800’s. We chose this name to disavow the ever growing popularity of social media sites like Instagram, Facebook, Twitter, Snap Chat, etc. 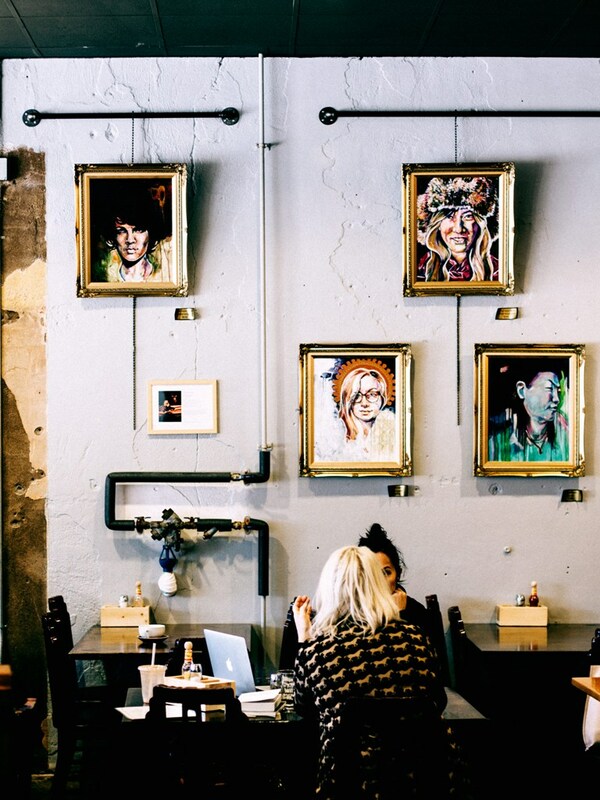 Rather than people overwhelmingly using these outlets to connect with their family and friends, we encourage them to come to our place where they can “post up,” engage one on one, live and in person. My husband Chris and I did a lot of research before we decided to open our business. Neither of us have a background in culinary arts, hospitality, or tourism, so we had no idea what we were doing. We both knew it would take a lot of time and planning to get the business off the ground, so we dug our heels in and committed to the challenge. To start, we spent two years working out our ideas in a business plan. The time spent working allowed us to put a lot of forethought into what we were doing, and to figure out how we were going to do it. Not only was this process of organizing our thoughts helpful, but it allowed us to impose hard deadlines for the completion of tasks. This business plan was, and still is, our accountability tool. As we began to do product research, Chris and I experimented with different juice recipes to see which blends worked best. After finding what we thought were the right concoctions, we gave out dozens of samples to our family, friends, and sample groups, and asked for their feedback regarding what they liked or didn’t like. It took a lot of trial and error, however, we eventually developed a solid list of recipes. Once we got our initial menu created, we started peddling our juices at the Nashville Farmers market. Chris and I did this on a part-time basis because we both were still committed to our full time jobs. It was not until we had spent lots of time and money renting kitchens and lugging around our juices from market to market, that we started seriously toying with the idea of opening a brick and mortar location. I will admit, the idea seemed pretty daunting and scary at first. We weren’t certain we could sustain a viable business selling only speciality handcrafted juices. This eventually led us to implement a bakery component, which ultimately led to us partnering with baker and pastry chef, Nicole Wolfe. Further, my sister-in-law Lauren, who had her own gluten free bakery business in Port Townsend, Washington uprooted and moved here to manage our kitchen. Chris and I also wanted to offer great coffee, so we traveled and met with different roasters from Chicago to New York. After many weeks of sampling espresso and drip coffee, (which had us wired for days) we decided to work with Vibe Coffee (formerly known as Victrola) in Seattle to get our coffee beans and train our future baristas. As you may have gathered by now, it took a lot of work and planning to get this business off the ground. We didn’t want to leave one stone unturned while going through this process. Miraculously, the stars aligned and things fell into place the way they were supposed to. Chris and I are still in disbelief as to how we did it. The Post specializes in offering lots of delicious gluten-free products for people who have autoimmune diseases that prevent them from eating traditional foods. Many people don’t realize it, but nowadays everything has gluten in it. For people who can’t eat this protein, their options are limited and they struggle to find safe places to eat. The Post represents that little beacon of hope for those individuals. We are happy they are still able to eat the foods they love without sacrificing the quality and taste. We are also one of a handful of businesses in Nashville offering *organic cold pressed juices and smoothies. (It is important to see I denoted organic with an asterisk, because we do not want people to miss this. There are lots of places passing off their stuff as organic when it is not). This specifically aligns with our core value of offering “healthy” and “sustainable” foods and drinks. It is easy for a business to hide behind the title of “natural foods” when trying to get people to buy their products. But, what many people don’t realize is that GMO and minimally processed foods are also included on this list. The Post can gladly say this is something we will not compromise on no matter what the price tag. The Post puts love into everything we do! We don’t cut any corners when it comes to offering high quality foods, made with premium ingredients. We use local, organic, and non-GMO foods, because we believe in the power of sustainable agriculture, and in taking care of our beautiful and magnificent home, planet EARTH. Further, we try to be environmentally responsible by only purchasing recyclable and compostable cups, cutlery, straws, sacks, and to go containers. Plus, my husband Chris and I hand sort and recycle over ninety five percent of the packaging and containers that our products arrive to us in. We are extremely diligent about limiting what we throw away each day, because we know it will ultimately end up in our already overtaxed landfills. I have three and I can’t choose between them! Brunch, Happy Hour, Coffee or Tea? Brunch! On Sunday’s we host a Bluegrass Brunch and Old Time Social series from 10am – 1pm featuring a host of renowned local and national artists. The 1st and 2nd Tuesday of every month Chuck Beard of East Side Story hosts East Side Story Tellin’ showcasing local writers, poets, and musicians. And, the 2nd Wednesday of every month (7pm) we have a Conscious Transformation meditation group led by energy healer Ben Dulaney. Our live music on both Saturday and Sundays usually consists of independent artist from a variety of genres ranging from jazz, soul, to indie rock. Would love to talk with you about a possible pop up event featuring local black business owners all in one place. Look forward to hearing from you! i am glad you hsve a cafeteria.. i know you’re happy..
write back to me… i want to taln to you..